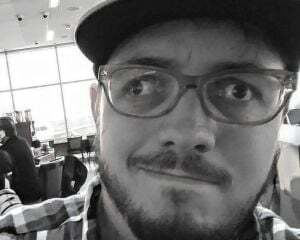 Inti Creates is a developer I have no issue supporting day one before anyone has had a chance to review its games. Normally, that works out well for me. Blaster Master Zero, Mega Man Zero, and Azure Striker Gunvolt are three of the most fun experiences I've had with modern developers channeling the more adventurous 16-bit era of gaming. 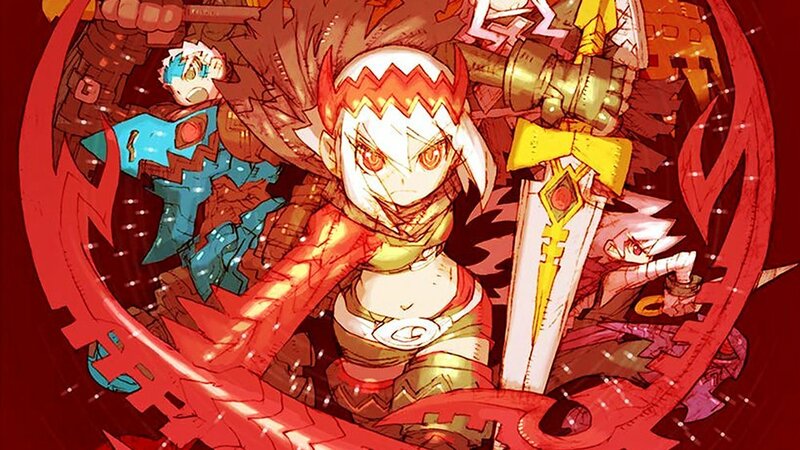 Dragon Marked for Death seems to be right in its wheelhouse, but the longer I played it, I more it became clear it lacked a level of polish I'm used to seeing out of the developer. Dragon MFD is a side-scrolling action RPG where you play as one of the Dragonblood, a group of people who have formed an alliance with the dragon Atruum to gain his powers. The power of the dragon manifests itself differently in each of the playable characters. 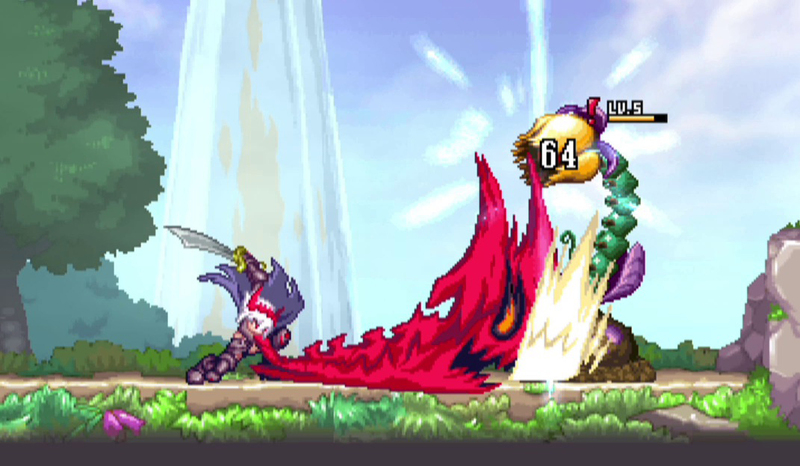 For instance, the Empress uses her dragon arm to slice at enemies or shoot them from a distance while the Warrior can generate a shield and power up his attacks. There is a nice variety in the playstyles of the four characters and I actually enjoyed getting to know the strategies for each of them. After forming a pact with Atruum, whichever character you choose heads to the unnecessarily large hub world of the castle town to start taking jobs. Their goal is to work their way to the inner circle of the kingdom to get revenge on the Divine Family for burning down their home town. Jobs are taken at the bar and you can play the game either solo or in local or online co-op. And this is where the game runs into problems. 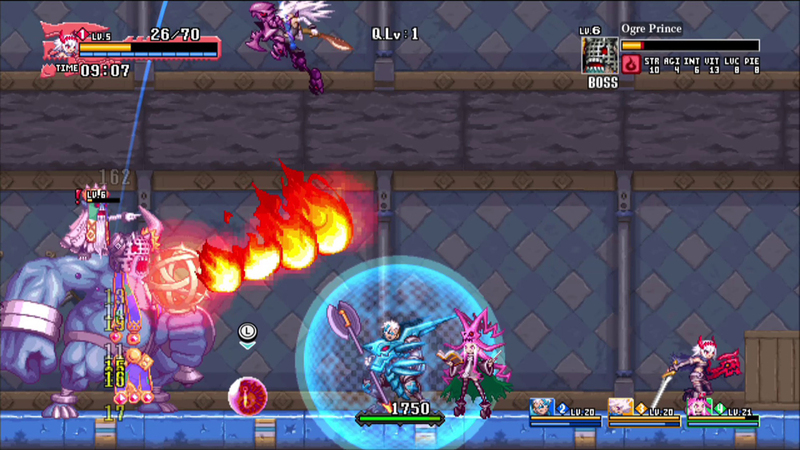 Dragon Marked for Death is, at its base, a co-op action RPG. It is meant to be played with more than one person. You can play it solo as I did, but it's an uphill battle. This game is difficult. Enemies are damage sponges, many don't react at all to being attacked, and there is no dodge or dedicated block button to help you out in battle. Boss fights can be unforgiving and if you die, there are no checkpoints to pick back up from. While you don't keep any of the loot you find on a failed quest -- as well as any herbs and items you used during your attempt -- you do keep the XP gained. A few of the quests I had to attempt three or more times until I was at a high enough level to actually beat the boss. In multiplayer, it can be a lot more manageable, yet Dragon Marked for Death goes out of its way to make this option a hassle. For starters, there is no local couch co-op. If you want to play with someone in the same room, you'll both need a copy of the game and your own Switch system. It's a baffling and unnecessary design choice that goes against the easy two-player nature of the Switch. This is a console tailor-made for couch co-op, yet Dragon MFD opts to go about it the hard way. There is an online option, though results may vary. You can play with friends or strangers, though the latter option didn't work out so well for me. I tried for several days with no luck whatsoever. I know Dragon Marked for Death is a fun game with more than one person as I played it at PAX last year, but I was confined to solo play for this review because of the unnecessary hoops Inti Creates choose to implement for local co-op. That's not the only design choice I have issues with. The controls for Dragon MFD work well enough and you have the option to remap the buttons to your liking. However, not all of the buttons are supported. LZ and RZ, both of which are much more comfortable to use than the standard L and R buttons, are useless here. It would be nice to have the option to use those buttons not just because they're more prevalent on the Joy-Con controllers but because of each character's L-move. The L button serves more than one purpose for each character. It dashes when they're on the ground and performs another move depending on the situation. For the Shinobi, it acts as his glide and is simple enough to use. But for the Empress and her swing ability, it can be a nightmare to pull off as you have to hit the L button and up on the control stick or directional button at the same time. Sounds easy on paper, but in practice, as I tried to string together several swings in a row, it would absolutely cramp up my hand. Being able to assign this move to LZ would have removed a lot of that frustration for me, but it's just not an option. The quests themselves have a great variety, both in objective and size. Some are incredibly fun, like defeating sea monsters attacking a pirate ship. Others fail to bring the same level of pizzazz and either stretch on for far too long or implement gimmicks that make completing them a hassle. One quest does both and it's without a doubt the most irritating level I have ever had the misfortune of playing. There were more than a handful of moments when I wanted to throw my Switch against the wall because some enemy would just walk through my attack or I'd die after whittling down the health of a boss for 15 minutes, only to have him smack me with a devastating blow.